The RFEdeA refuses any cause or reason that makes it necessary in the decision to relocate the next races of the Spanish and European championships. The accident happened after a random touch between two karts, between the curves 2 and 3 of the route, after which, as a consequence of the same, the Gonzalo's kart overturned. In this way, it is determined that the only cause of the accident was the contact between both go karts. Consequently, any cause or reason that makes it necessary to persist in the decision to postpone the test of the Spanish Karting Championship, scheduled to be held on 5, 6 and 7 May at the aforementioned "Circuito Fernando Alonso " is ruled out. 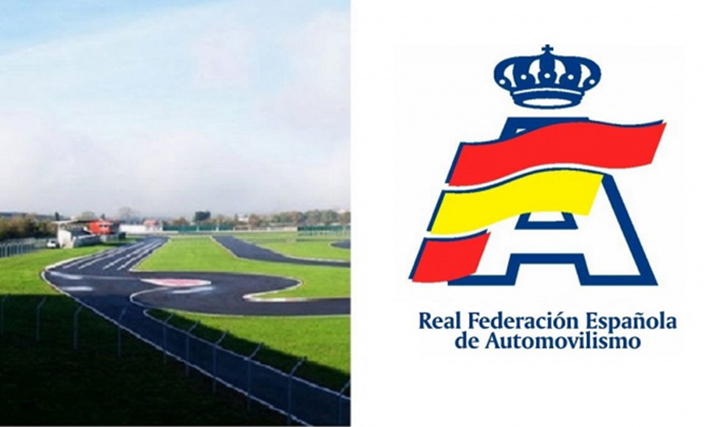 The RFEdeA, which through its Security Commission has carried out an exhaustive study of the accident, wishes to express its sincere thanks to the "Fernando Alonso Circuit" for the interest shown in the realization of this investigation, as well as for its inestimable collaboration in the Development of the process. It should be noted that all the staff of the circuit has participated actively in the analysis of the event, which has allowed the investigation to be concluded today (April 27th). Fernando Alonso and Manuel Aviñó (President RFEdeA) have agreed to set up an Institute for Research and Development of Child Karting Safety, which will be named Gonzalo Basurto. This initiative aims to minimize the incidents that occur in the practice of karting, as well as the consequences derived from them. The Formula 1 Drivers Association (GPDA) has also shown its sensitivity to this terrible incident. Drivers like Sebastian Vettel, Pedro De la Rosa, Alex Wurz and Fernando Alonso, among others, want to lend their decisive support for safety in children's karting, specifically the family of Gonzalo Basurto, and have expressed their intention to attend the second round of the Spanish Karting Championship, which will be held next week on the Asturian track. An appointment that will undoubtedly become a tribute of the world of karting to the figure of Gonzalo. The RFEdeA reiterates its gratitude to the Basurto family for their generosity and for their invaluable collaboration in these moments of desolation, in which, however, and showing a commendable strength, they have not stopped supporting karting and the sport of motorsports." Anyway drivers and families are still asking to relocate the next race because the track is considered unsafe.